Are we seeing a shift to tech-savvy general counsels? When Abraham Ronai was an undergraduate at Cornell University, he planned on becoming a mechanical engineer, not a lawyer. Then he interned at Pratt & Whitney, a jet engine manufacturer. While Ronai had always been interested in science, he couldn’t see himself working as an engineering manager or spending years constructing a single bolt. Instead, what captivated Ronai’s interest was the role of the company’s patent attorney. Pratt & Whitney holds over a thousand patents, and Ronai noticed the patent attorney was involved in the technical work that he also enjoyed. Further, the attorney seemed to be involved in all aspects of the company’s business and he was sought out by the business for his judgment, which intrigued Ronai. “What I noticed about the in-house department, and this instantly attracted me to the law, was how involved the lawyers were in high level matters affecting the company. This required them to understand the bigger picture and positioned them to become valued members of the business team assisting with the future strategy of the entire company. And I found that really appealing,” says Ronai. So after graduating from Cornell with distinction in 1995, Ronai attended the Benjamin N. Cordoza School of Law in New York City, which is in Ronai’s hometown and has a respected intellectual property (IP) program. 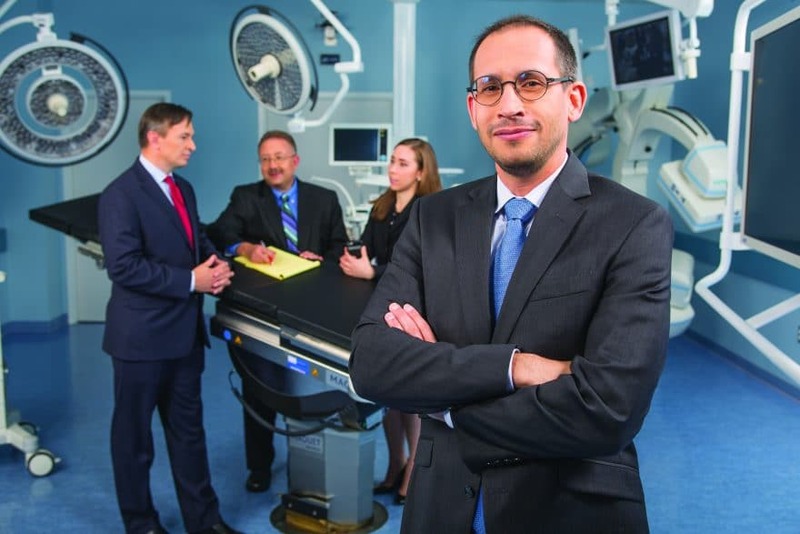 While attending law school, Ronai clerked at Datascope Corp., a company that developed and manufactured cardiac assist and patient monitoring medical equipment. Following that experience, he says “I went [back] to law school with a mission — I wanted to be a medtech industry executive and I focused my course load to make sure I had a solid foundation in key areas such as IP, international trade, FDA, compliance and commercial litigation and transactions,” says Ronai. The experience also taught Ronai that IP departments were essential to many companies and that IP litigation could make or break a company. “[So] I focused my efforts early on understanding how to draft strong patents globally and ultimately how to enforce them in court,” says Ronai. Fast-forward 10 years: Ronai now works for Getinge Group. In fact, he’s general counsel for the Americas, vice president of IP and global general counsel to the company’s largest business unit, Acute Care. Getinge Group, which is publically traded in Sweden and has revenue around $3.5 billion, designs, manufactures and sells a huge variety of medical equipment which fall under the umbrella of three business units: Surgical Workflow, Acute Care and Patient and Post-Acute Care. The surgical unit develops solutions and equipment to control infections and for surgery, like surgical tables and lights, as well as IT systems for hospitals. The acute care and patient unit develops technology for intensive care units, operating rooms and cardiology departments. The patient and post-acute care business unit is aimed at patients with reduced mobility and has developed and huge range of products used in patient handling, preventing blood clots from forming, early mobility and much more. Getinge’s products can be found in hospitals around the world due in part to multiple acquisitions. In 2007, the Group expanded in the U.S. via its purchase of the cardiac surgery and vascular interventions businesses of Boston Scientific Corp. In 2008, the Group purchased Datascope Corp. and in 2009, it purchased Atrium Medical Corp. The Datascope acquisition is also how Ronai came back into the picture. Although Ronai had moved on from Datascope in 2003 to work in various law firms in Manhattan—he worked at Datascope both during and after law school—he never lost touch with his contacts at the company. While there are a few notable examples, Ronai admits it’s unusual for an IP litigator to ascend to the general counsel position like he did. 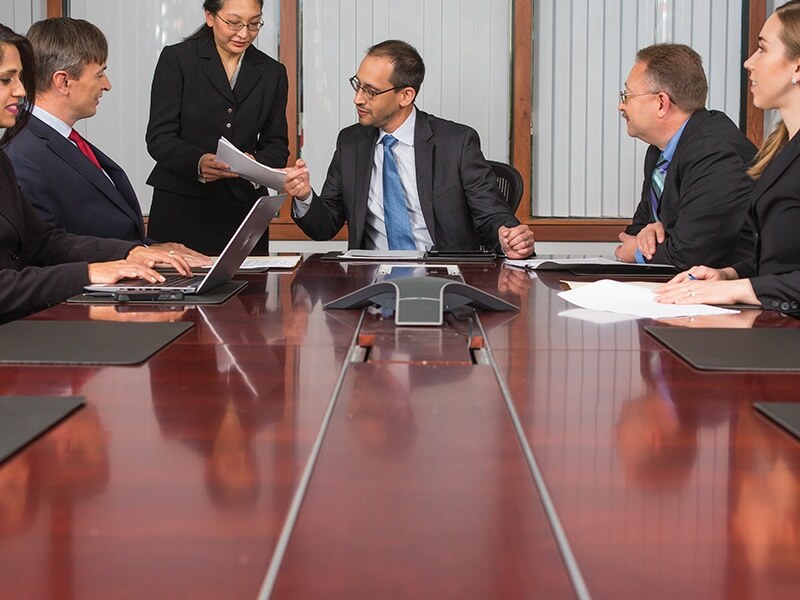 Typically, lawyers with mergers and acquisitions backgrounds are chosen for the role mainly because company boards are most familiar with them. Ronai says Getinge Group chose him both because of his connection to Datascope and because of its large global IP portfolio and its appetite for acquisitions involving technology. While Ronai has resolved many high-stakes litigation matters for Getinge subsidiaries, and significantly reduced legal spending by bringing in-house, most of its global patent prosecution, he says its more than his legal background that makes him a perfect fit for the group and the field. The careful regulation of the healthcare industry adds to the complexity and sensitivity of the legal work, and requires an understanding of the technology and attention to detail. “That makes this business area ideal for a legal executive with an engineering background and deep experience in our industry,” says Ronai. For instance, when he is evaluating an acquisition, Ronai has to consider more than just the legal terms. He has to understand the associated risks of the acquisition in relation to the business and the broader field, and he also has to be able to quantify those risks. “This is impossible to do without a strong background in the industry and an excellent business sense, and this is what I look for in my hires” says Ronai. The breadth of his role allows him to develop a holistic sense of the Getinge Group as well as a bird’s eye view of the business and the medical technology field. “It is this perspective that often reveals business opportunities in unexpected places,” he says. Ronai says he especially enjoys collaborating with the business team and seeking out business opportunities for the group, especially opportunities only someone with a mixed legal and business background might recognize. While Ronai expects technical expertise in at least one area of the law from his attorneys, he believes being able to distill facts, simplify, and communicate is just as important. Nothing is more exciting to Ronai than the synergies of a team brain storming session. However, it’s not unusual for corporate meetings to be bogged down by complexity and decision-making paralysis, he says. And this is only exacerbated when a team is assembled to discuss a complex legal matter that may have been pending for many years. “I expect my team to proactively reduce the layers of complexity so as to empower the business team to more readily see and address the underlying business decisions lurking behind all of paper and legalese so true progress can be made,” says Ronai. Ronai encourages his attorneys to brief each other on most projects. It’s important not only for cross fertilization and sharing history, according to Ronai, but fostering a sense of teamwork, which is excellent for training purposes. A natural extension of being a legal strategist is becoming part of the business team. This is vital, according to Ronai, because providing legal counsel is not very useful if the business does not trust or fully comprehend the advice. “This means that when the business asks you for a simple thumbs-up or thumbs-down on a decision, and [they] do not have the time or bandwidth for a group risk-analysis session, the in-house lawyer should be able to put his name and reputation on the line and suggest a course of action,” says Ronai. Most lawyers, according to Ronai, particularly those with pure law firm experience, have difficulty with such a request because, in the past, they have never had to be truly accountable for business decisions based on their advice. This is one reason Ronai creates every opportunity for his team to participate in business meetings, understand the products and market, attend trade shows, and learn the business. “In the highly regulated healthcare and medical technology space, legal advice in a vacuum is useless. In fact, in many cases it can do more harm than good. In stark contrast, advice from a seasoned in-house legal team with a strong legal background and understanding of your business is worth its weight in gold—but the legal team absolutely needs to have some skin in the game,” according to Ronai.